As most people who read this blog by now know, all federal Xarelto litigation lawsuits were consolidated into one court in the Eastern District of Louisiana in December 2014, and one judge, The Honorable Eldon E. Fallon, was appointed to oversee the proceedings. The purpose of putting all of the litigation into one pot, so to speak, is to make everything proceed more efficiently and to reduce the amount of redundancy when it comes to fact gathering and document filing. As part of his attempt to move the cases forward, Judge Fallon has ordered a “Science Day,” a hearing that is unique to pharmaceutical litigation, which will take place June 11, 2015. During this hearing, both sides will present overviews of their positions regarding the medical and scientific facts related to Xarelto. Additionally, they will also discuss the results of the studies conducted to date, what they mean for patients, and address any other scientific evidence available to support or deny any claims made by plaintiffs. The plaintiffs seeking compensation from Janssen Pharmaceuticals and Bayer, who manufacture Xarelto, claim that taking the drug resulted in serious side effects including uncontrolled bleeding and blood-related conditions such as pulmonary embolisms, deep vein thrombosis, strokes, and even heart attacks. Plaintiffs also claim drug manufacturers failed to do enough to warn doctors and patients of the risks associated with Xarelto, and that those companies should have undertaken more research and conducted a greater number of clinical trials before putting the drug on the market. Often, a “Science Day” hearing will include the presentation of studies and the expert testimony of many witnesses, including researchers and physicians, supporting both sides’ arguments, and this one should be no different. 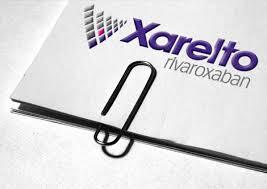 The FDA approved Xarelto, considered a “newer-generation” blood thinner, in July 2011 as a treatment to reduce the risk of blood clots, especially for those patients undergoing hip- or knee-replacement surgery, but they later expanded its approved uses. The drug was heavily advertised as a better alternative to warfarin, the leading oral anticoagulant, because dosing could be more easily adjusted and no blood monitoring or dietary restrictions were required. However, in 2013 the FDA wrote the manufacturers, accusing them of making false and misleading claims and minimizing the risks of Xarelto. Later that year, the number of reported cases of medical problems associated with the drug skyrocketed. Despite this, the manufacturers refused to change the written warnings about Xarelto, and continued to downplay its potential side effects. If you or a loved one have experienced a serious or fatal bleeding event while taking the drug Xarelto, please contact the experienced Drug Litigation Attorneys at Raizner Slania immediately to discuss the specifics of your case and preserve your legal rights.